Captain James Cook is one of the greatest maritime explorers in world history. 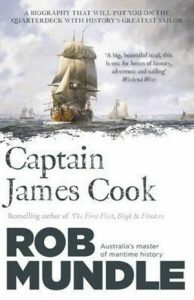 Over three remarkable voyages of discovery into the Pacific in the latter part of the eighteenth century, Cook unravelled the oldest mystery surrounding the existence of Terra Australis Incognita – the Great South Land. He became the first explorer to circumnavigate New Zealand and establish that it was two main islands; discover the Hawaiian Islands for the British Empire; and left an enduring legacy. Rob Mundle introduces us to an unlikely sailor in a teenage Cook, who, through the combination of hard-won skills as a seafarer, the talents of a self-taught navigator and surveyor, and an exceptional ability to lead and care for his men, climbed the ranks of the Royal Navy to achieve legendary status among all who sailed and mapped the world. With climate change and increasing globalisation of trade and travel, the risks presented by invasive pests and pathogens to natural environments, agriculture and economies have never been greater, and are only increasing with time. Governments world-wide are responding to these increased threats by strengthening quarantine and biosecurity. 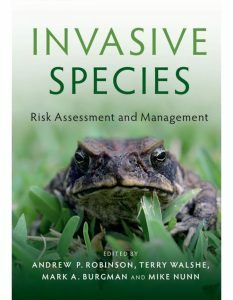 Invasive Species: Risk Assessment and Management presents a comprehensive review of risk-based techniques that help policy makers and regulators protect national interests from invasive pests and pathogens before, at, and inside national borders. Selected from the research corpus of Australia and New Zealand’s Centre of Excellence for Biosecurity Risk Analysis, this book provides solutions that reflect scientific rigour coupled with practical, hands-on applications. Focusing on surveillance, stochastic modelling, intelligence gathering, decision making and risk communication, the contents combine the strengths of risk analysts, mathematicians, economists, biologists and statisticians. Invasive Species: Risk Assessment and Management presents tested scientific solutions to the greatest challenges faced by quarantine and biosecurity policy-makers and regulators today. The annotated Malay Archipelago by Alfred Russel Wallace. Artist/Author: Van Wyhe, John, editor. 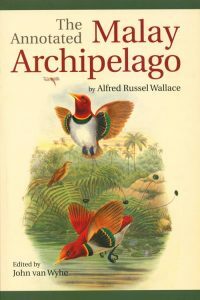 Wallace’s Malay Archipelago is a classic account of the travels of a Victorian naturalist through island Southeast Asia. It has been loved by readers ever since its publication in 1869. Despite numerous modern reprints with appreciative introductions, this is the first – and long overdue – annotated edition in English. This edition explains, updates and corrects the original text with an historical introduction and hundreds of explanatory notes. Wallace left hundreds of people, places, publications and species unidentified. He referred to most species only with the scientific name current at the time. Whenever available, the common names for species have been provided, and scientific names updated. The content of the book has never been thoroughly analysed and compared against other contemporary sources. It turns out that the book contains many errors. This includes not just incorrect dates and place names but some of the most remarkable anecdotes; for example, the dramatic claim that tigers “kill on an average a Chinaman every day” in Singapore or that a Dutch Governor General committed suicide by leaping from a waterfall on Celebes. By correcting the text of the Malay Archipelago against Wallace’s letters and notebooks and other contemporary sources and by enriching it with modern identifications this edition reveals Wallace’s work as never before. As a young child, Sarah Woods imagined going on epic voyages to exotic, illusory lands filled with bizarre creatures, intoxicating rhythms, vibrant colours and other-worldly forests. As soon as she was old enough she packed a bag and set off to see the world for real, leaving friends and family behind to fulfil her childhood dreams. To journey solo through Central and South America was perhaps the ultimate challenge. Leaving the tourist traps behind, Sarah ventured into the wilderness, experiencing disease-ridden swamps, shark-infested waters and dense tracts of primary rainforest that are home to jaguars, anacondas and tusk-gnashing peccaries. Facing gruelling, energy-sapping jungle conditions and constant challenges that saw her question the deepest and most intimate aspects of her life, Sarah’s intrepid travels on the trail of iconic wildlife took her through some of the toughest terrain imaginable, and led to encounters with extraordinary indigenous people of the forest, with whom she experienced kindnesses and cultures beyond her wildest dreams. 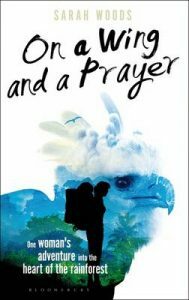 This book tells the incredible story of one woman’s adventure into the heart of the rainforest. Artist/Author: Peterson, Dale and Marc Bekoff. Life on air: revised and updated. Sir David Attenborough is Britain’s best-known natural history film-maker. 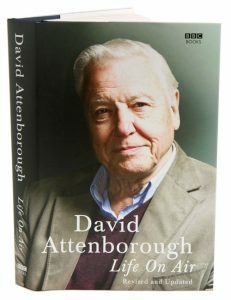 His career as a naturalist and broadcaster has spanned nearly six decades, and in this volume of memoirs Sir David tells stories of the people and animals he has met and the places he has visited. A lot has changed since his first television documentary, and in this updated edition of Life on Air Sir David tells us of his experiences of filming in the 21st century. Also available in paperback [stock id 35782]. Artist/Author: Smith, Charles H. and Kelsey Patterson. 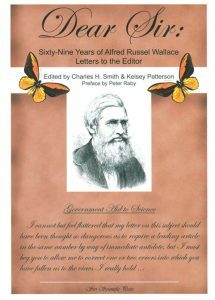 Alfred Russel Wallace (1823-1913), colleague of Charles Darwin, co-discoverer of the principle of natural selection, “father” of the field of evolutionary biogeography, vocal socialist and spiritualist, land reform theorist, intense social critic, etc., etc., was one of the most captivating figures of his time. Wallace began his professional career through two great natural history collecting expeditions, one to the Amazon and the other to the Australasian Archipelago; so successful were these that many observers would place him as the front-ranking field naturalist of all time. after he returned to England in 1862, however, his professional emphasis shifted toward writing. His published works included more than twenty books and close to a thousand other items: technical scientific papers, essays, commentaries, book reviews, and, not least, some three hundred letters to the Editor. It is in the last that his temperament comes out most strongly, and it is our privilege in the present work to reproduce more than two hundred of these, extending to all of his many intellectual passions. The philosopher Charles Peirce once wrote of Wallace that he “never wrote a dull line in his life, and couldn’t if he tried”, and the reader here can expect to be entertained accordingly. 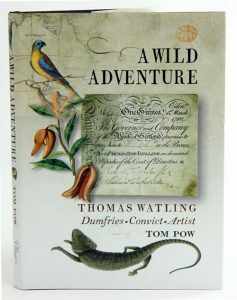 Wild adventure: fragments from the life of Thomas Watling Dumfries convict artist. Tom Pow’s beautiful, powerful poems examine the remarkable life of Thomas Watling. Watling was born in Dumfries in September 1762 and raised by a long-suffering maiden aunt. Convicted of forging Bank of Scotland one-guinea notes he was sentenced to fourteen years in the recently founded colony of Botany Bay in Australia. The first professional artist to arrive in the colony, Watling was seconded to its Surgeon General (and amateur naturalist) John White. His pioneer paintings of birds, animals and the landscape became some of the principal records of the earliest days of Australia. He was eventually pardoned, on 5 April 1797, and left Australia, eventually returning home to Dumfries. He died there, most likely in 1814. 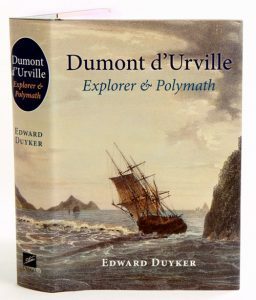 Dumont d’Urville: explorer and polymath. Explorer Jules-Sebastien-Cesar Dumont d’Urville (1790-1842) is sometimes referred to as France’s Captain Cook. Born less than a year after the beginning of the French Revolution, he lived through turbulent times. He was a true polymath: a maritime explorer fascinated by botany, entomology, ethnography and the diverse languages of the world. In this magnificent biography Edward Duyker reveals that D’Urville had secret orders to search for the site for a potential French penal colony in Australia. He also effectively helped to precipitate pre-emptive British settlement on several parts of the Australian coast. D’Urville visited New Zealand in 1824, 1827 and 1840. 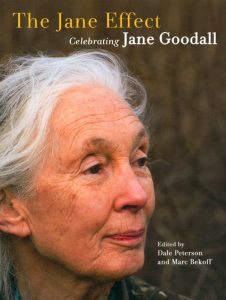 This wide-ranging survey examines his scientific contribution, including the plants and animals he collected, and his conceptualisation of the peoples of the Pacific: it was he who first coined the terms Melanesia and Micronesia. D’Urville helped to confirm the fate of the missing French explorer Laperouse, took Charles X into exile after the Revolution of 1830, and crowned his navigational achievements with two pioneering Antarctic descents. Edward Duyker has used primary documents that have long been overlooked by other historians. He dispels many myths and errors about this daring explorer of the age of sail and offers his readers grand adventure and surprising drama and pathos. 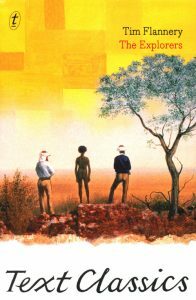 The explorers of Australia tell an epic story of courage and suffering, of dispossession and conquest, of a moving frontier between European invaders and the Aboriginal custodians of the continent. This compelling anthology documents almost four centuries of exploration and takes us into a world of danger, compassion and humour. Many of the stories beggar belief. Maori chief Te Pahi saves the lives of condemned thieves in Sydney in 1805. Hume and Hovell argue over their frying pan. John Ainsworth Horrocks is shot by his camel. Brilliantly edited and introduced by Tim Flannery, The Explorers draws on the most remarkable body of non-fiction writing ever produced in Australia. Acclaimed historian and biographer Paul Johnson turns his keen eye on Charles Darwin, the towering figure whose work continues to spur scientific debate. Johnson’s biography is already causing a stir on the pages of Slate and New Scientist, and has become a voice in the public discussion of evolution popularised by the likes of Richard Dawkins. 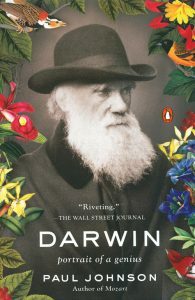 Lay readers and academics alike will enjoy this concise and unflinching exploration of Charles Darwin, a genius whose discoveries add significant dimension to our understanding of his mind and his everlasting impact on our world. Also available in hardcover [stock id 36484]. On the great Pacific discovery expeditions of the eighteenth century, naturalists were commonly found aboard ships sailing forth from European ports. Lured by intoxicating opportunities to discover exotic and perhaps lucrative flora and fauna unknown at home, these men set out eagerly to collect and catalogue, study and document an uncharted natural world. This enthralling book is the first to describe the adventures and misadventures, discoveries and dangers of this devoted and sometimes eccentric band of explorer-scholars. Their individual experiences are uniquely their own, but together their stories offer a new perspective on the extraordinary era of Pacific exploration and the achievements of an audacious generation of naturalists. 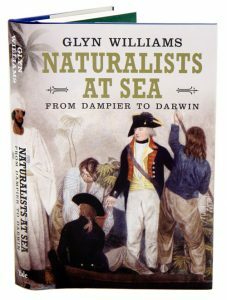 Historian Glyn Williams illuminates the naturalist’s lot aboard ship, where danger alternated with boredom and quarrels with the ship’s commander were the norm. Nor did the naturalists’ difficulties end upon returning home, where gaining recognition for years of work often proved elusive. Peopled with wonderful characters and major figures of Enlightenment science – among them Louis Antoine de Bougainville, Joseph Banks, John Reinhold Forster, Captain Cook and Charles Darwin – this book is a gripping account of a small group of scientific travellers whose voyages of discovery were to change perceptions of the natural world.